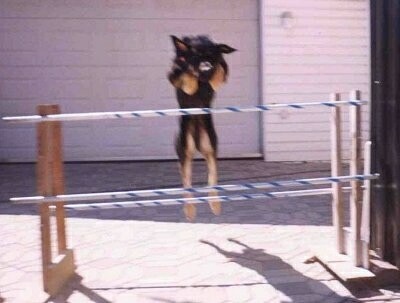 Hallapino, an 8-month-old Mastiff is a high-jump champion. 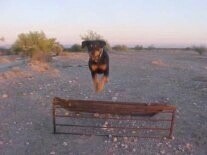 His highest jump has been 67 inches! 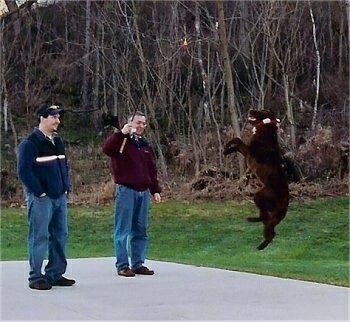 Tilley is amazing at catching (anything). But her favorite thing to catch is Frisbees, as you can see. She is a 7-year-old blue Standard Poodle and lives in Mission Viejo, California. Nouka at 2 years old. She really likes to climb and jump! Collie / Husky mix with a Bernese Mountain Dog mix. Taffy the Beagle outside playing with her toy. Beau, my 10-month-old Chesapeake Bay Retriever learning how to cast a fishing line! This is my dog Nova. He's 3 years old in these photos. He was adopted from an SPCA at 6 months. Now he's enjoying life so much! One thing he knows how to do is jump!! And he jumps high, really high!!! 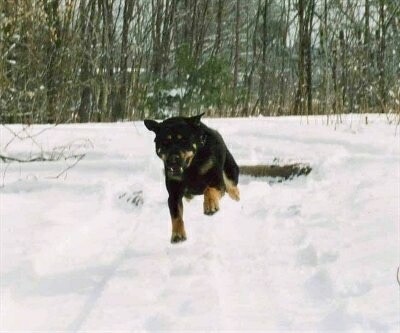 Nova is running so fast that he doesn't touch the ground! If you think you have an amazing dog photo and would like to share please send it in. 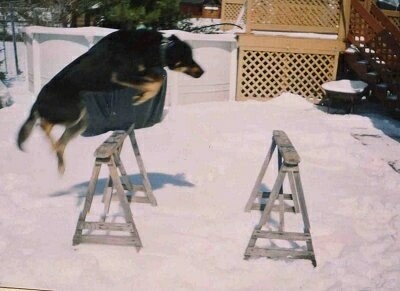 To qualify for the Amazing Dog photo section, the photo needs to be of your dog doing something amazing or out of the ordinary. Please do not send in photos out of books, magazines or from other websites without proper permission from the owner of the photo. Due to the high number of photos sent in, not all photos are posted. Videos of Those Amazing Animals!